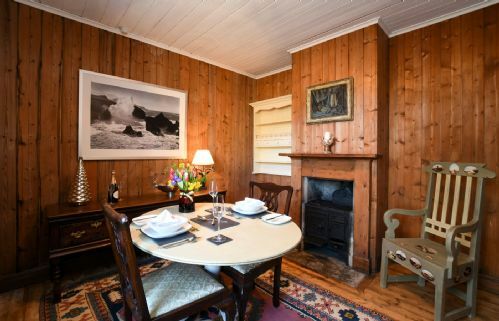 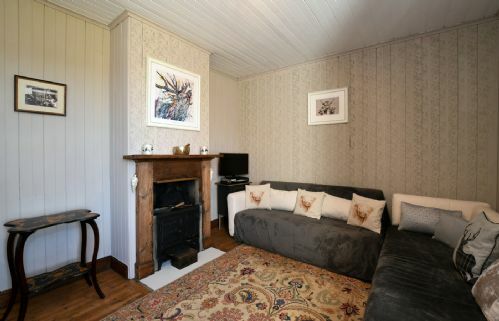 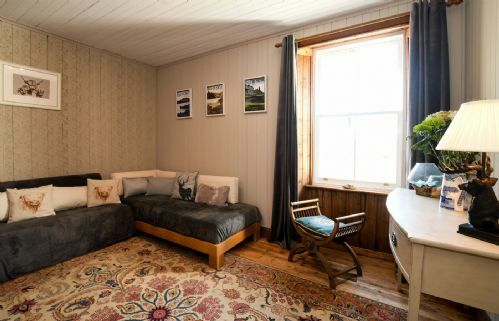 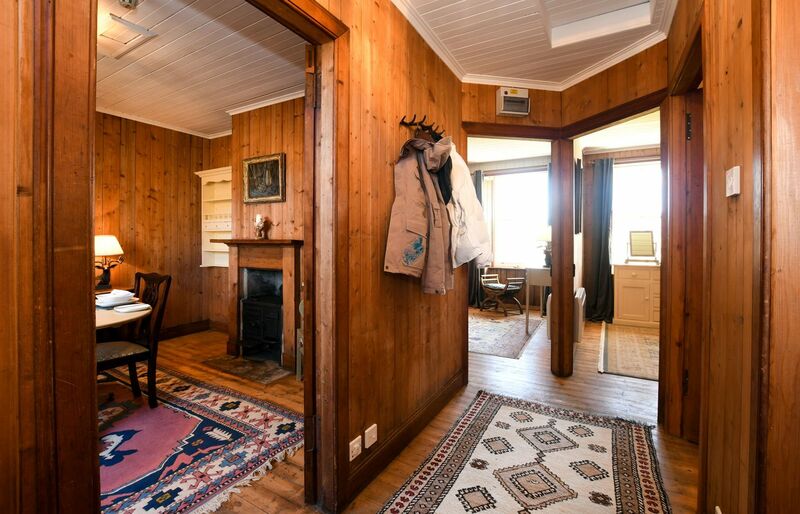 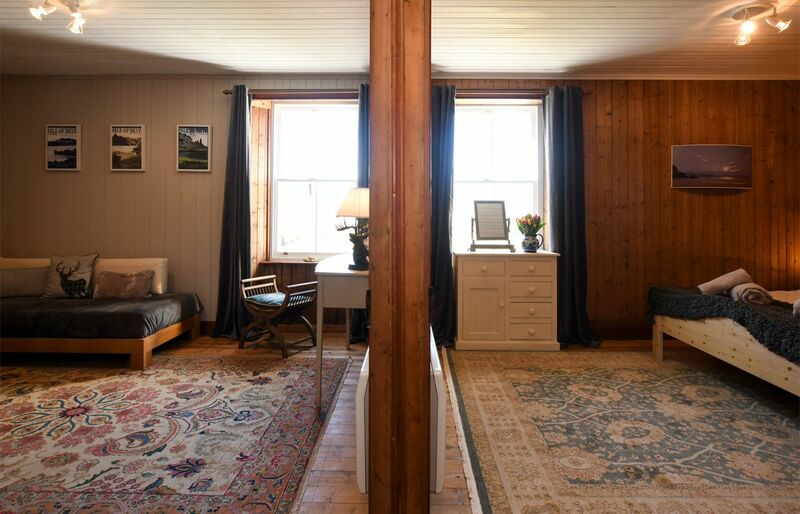 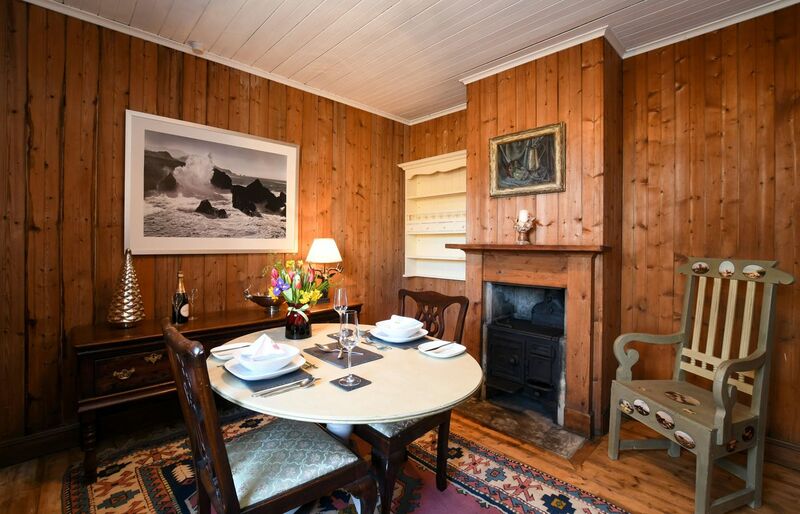 The Lodge at Strathaird House is a cosy traditional semi-detached cottage. Located behind Strathaird House, the Lodge has it's own private entrance, parking area and garden. 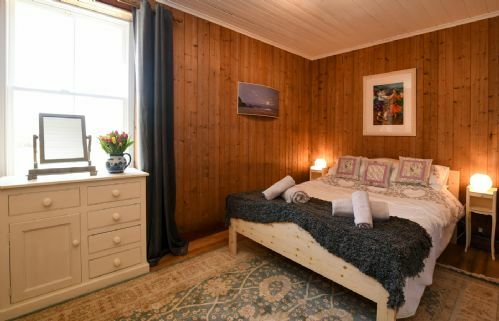 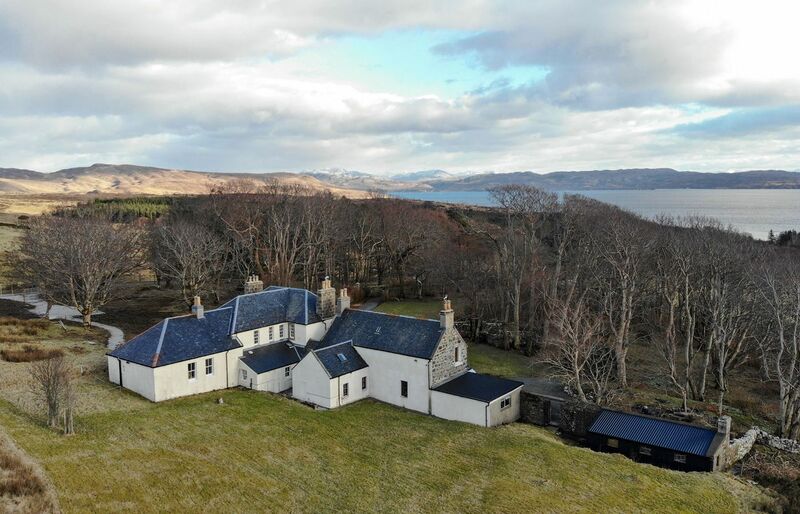 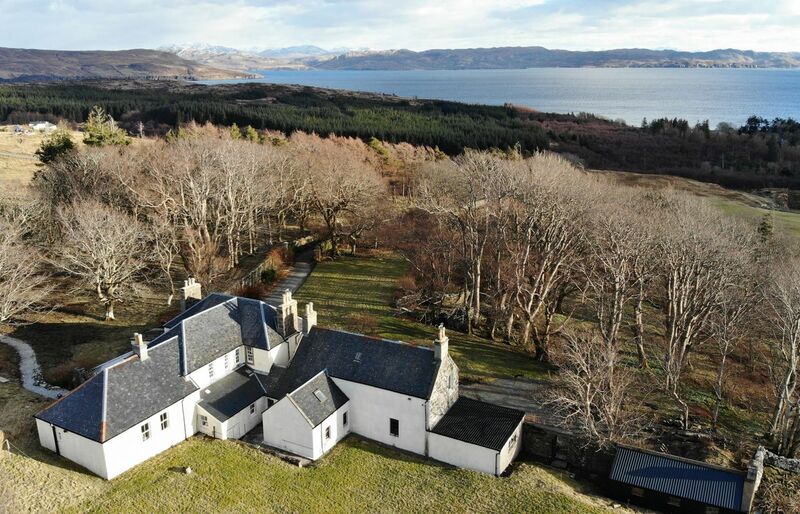 It is ideal for couples looking for seclusion within traditional Highland surroundings. 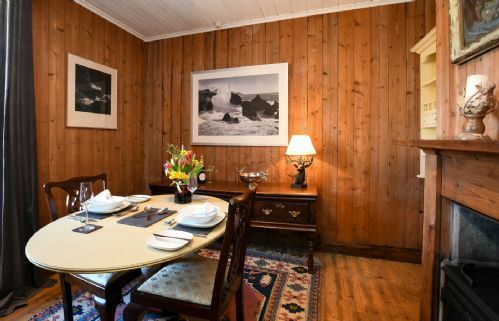 The Lodge is furnished with a combination of antiques and contemporary fittings that suit the traditional pine clad walls. The lounge is warm and welcoming! There is Sky TV and an integrated DVD player for cosy nights in. 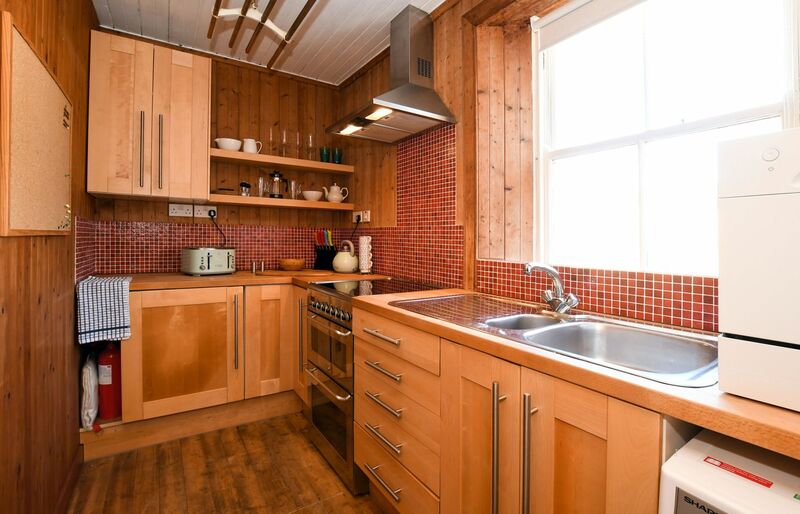 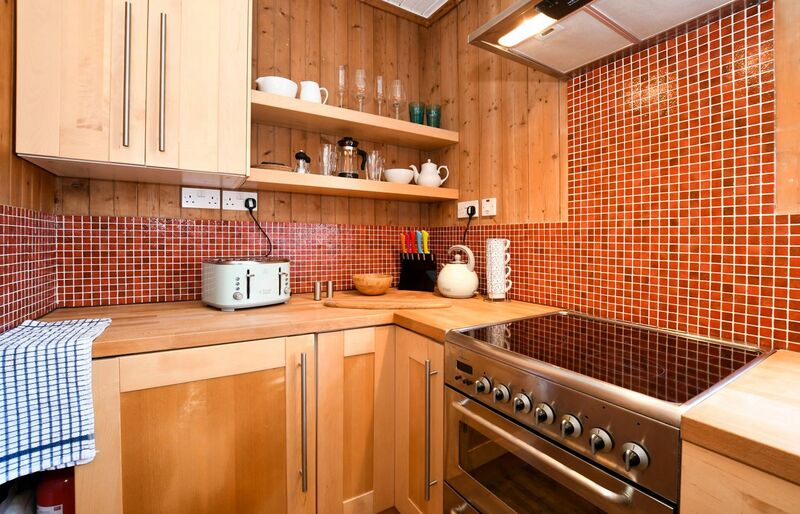 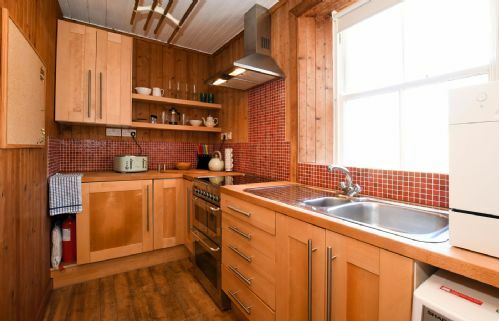 The kitchen is well equipped with with an electric cooker, dishwasher, microwave, fridge and Tassimo coffee machine. 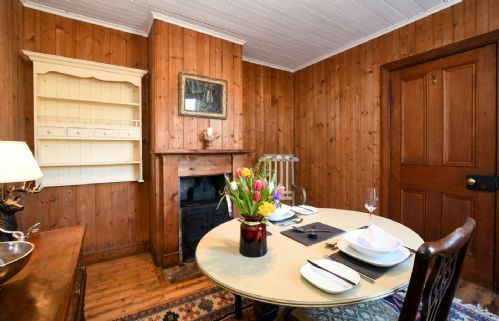 Whilst the dining room has space for evening dining. The double bedroom has a king size bed and stunning views towards the Black Cuillin. 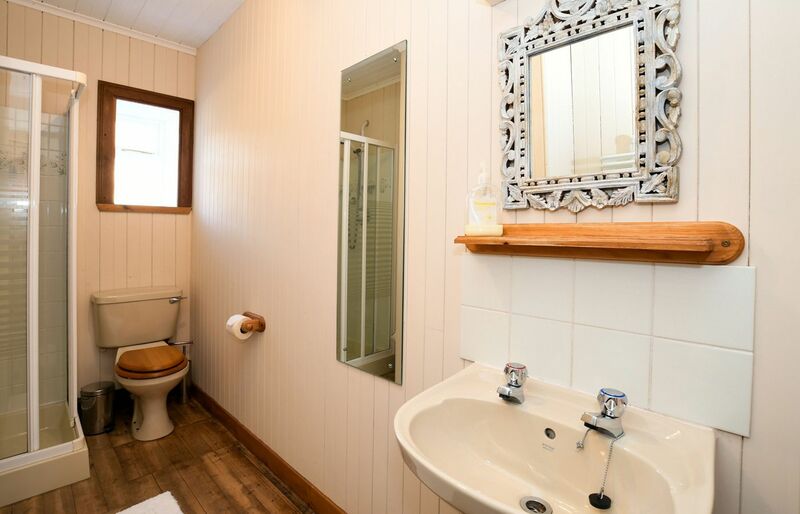 The bathroom has a walk in shower, W.C. and wash hand basin. 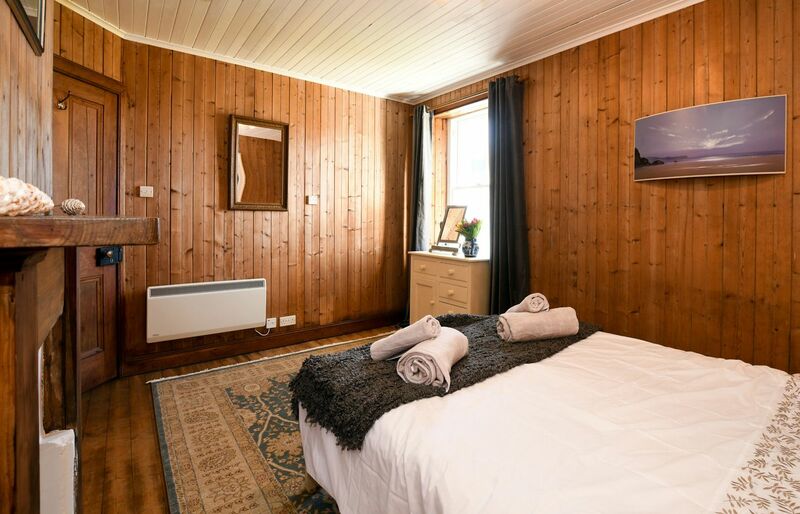 Fluffy towels, dressing gowns and slippers are provided for guests to use. 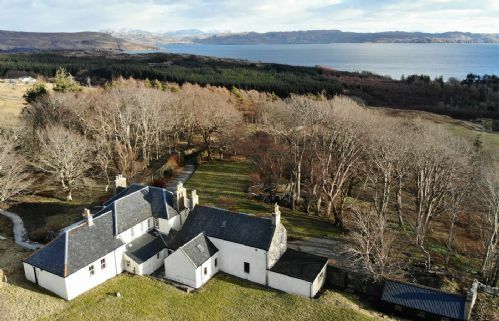 The Lodge makes a great base for those looking to enjoy the Strathaird peninsula. 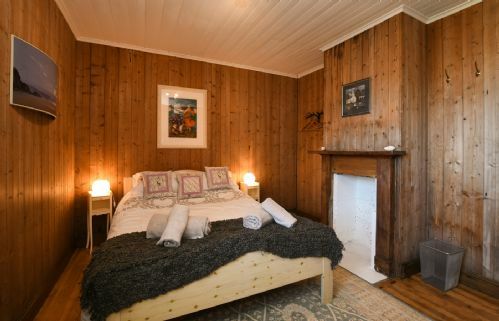 Elgol with it's stunning views and boat trips to Loch Coruisk is just a few miles away. Whilst within Strathaird there are several walks to enjoy fantastic views and historic buildings. 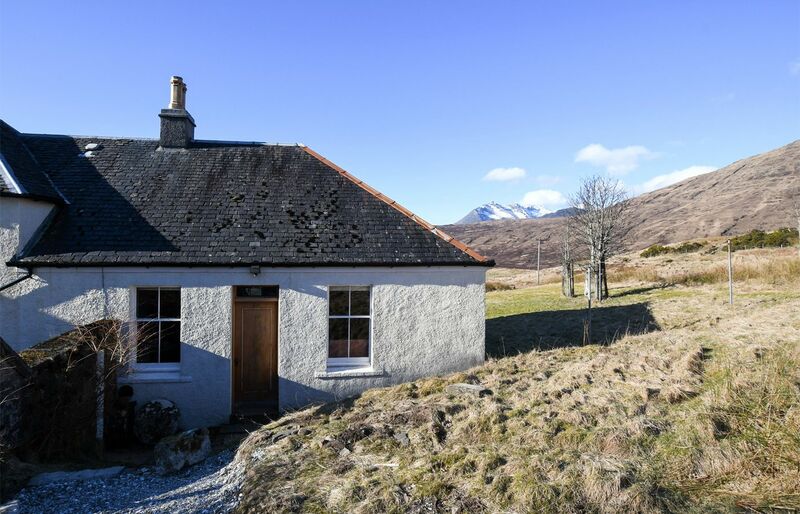 Please Note: there is a £50 damage deposit to be paid on arrival to the owner.